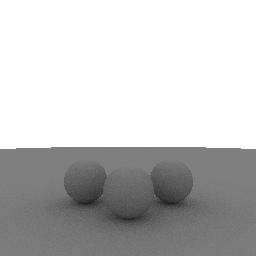 I got my hobby ray tracer producing images. It is not true diffuse ambient occlusion because the rays are uniform on the hemisphere rather than a cosine distribution. I include it as one big file because xcode has been under rapid evolution lately. Here's a 100 sample image. All at pixel center so not antialiased. // Created by Peter Shirley on 7/20/14. Our new Photo App Extension feature in Pic! Is an "yellow" traffic light yellow?